Checked on your Streak freeze today? I recommend getting a Streak freeze from the Lingot store in the Home tab (desktop version). You'll want to equip it now. It will auto-save your streak if you lose it in the future. However, check daily to see that the freeze is still equipped. One of the more common occurrences is that people equip a streak freeze, miss a day but don't realize it, and then don't have a streak freeze in place the next time they miss and end up losing their streak thinking it was covered. they meet their goal using the app and their phone doesn't sync with the server until it's too late (for any number of reasons, this is a very frequent complaint. This is a problem on the userside). All of this mention of "a day". But, how does Duolingo quantify a day? A day is a 24 hour cycle based on when the day starts according your time zone. What is my time zone set to? Oh! Keep a close eye on things when there are time changes! I'll try to remember to add more on that when it's not 12:16am. I need to track down that info. I saw it around here somewhere. I hope this reminder helps! Read Duolingo's official article: Why did I lose my streak?. If you lost your streak and, after reading all of the information above you, feel none of those things apply to why you lost your streak but that it was a bug caused by Duolingo, you can submit a bug report Here. Please note that bugs on Duolingo's end would affect millions of people all at once. If you don't see the forums flooded with posts about lost streaks within a few hours, Duolingo is probably not going to fix your streak. Thanks for this reminder. :) I'd say a large chunk of irrelevant posts are along the lines of "WHY DID I LOSE MY ****ING STREAK I DID A LESSON!!!!!!!!!1!!1". This should be stickied. Nice to see your rabbits. yes... and nice to see your horse pollyperki! This is very helpful. I thought you had to use the streak freeze the very next day. I bought a new one, as I seem to have used my old one a while ago without realizing it. Thanks Usagiboy7! I had no idea about this! Thank very much! I am going to get one now! Is there still that bug that setting the daily goal to 1XP in the web version it results in 20XP in the Android app which caused some unexpected results, too? :O I haven't used the web version since I started doing the Japanese course on the app. Previously, my main problem was having my minimum desktop goal changing to match my app goal whenever I used the app. Ok, I just did a test. Last I checked, my XP goal on desktop was 1XP. Checking it just now, it was set to 10XP (matching my Android app goal). So, I changed my Desktop goal back to 1XP, signed into Android, and it was set to 20XP. So, at least for me, it is still glitchy. :C I feel bad for staff. There are so many bugs and glitches right now. Checked and the last one I bought was still there. Still, thank you very much for the reminder! I loved this advice from the first minute I saw it saw it so many months ago. One of the first things I do every morning is check that I have the streak freeze and I'm also careful to maintain my freeze well before midnight. Thanks, Usasi for another brilliant post. Thanks for these useful tips, especially going into the complicated and various ways streaks get lost. By the way, how does Duo calculate the end of a day? Late last night I struggled through a strengthen exercise, expecting it to take about five minutes or less, but - probably I was too tired - it took forever and I actually completed it just after midnight, local time. And this gave me today's streak. But this being Sunday/Monday, it awarded the XP's to last week, not to today. So some changeovers obviously happen at different times - I wonder if this can also cause streaks to be lost? Midnight / 12am / 0am is when the clock starts for the day on Duolingo. Duolingo has done a few different things over the years regarding time zones. First that I became aware, accounts were permanently set to the time zone in which they were when created. Then, that changed. The last I was aware, if you had the app and your phone adjusted to time zone your Duolingo time zone changed to match. As for Duolingo's calculation for when a person's week ends, I am not certain. My friend just won the leaderboard for last week. However, my friend is in a vastly different time zone. I think Duolingo's week ends on Monday morning at 0am. It is 14:00 for me (2pm). And I got the notifcation that she won 20 hours ago. So, maybe it is determined by the first person in the club who clicks over into 0am Monday. As for anything odd happening right now, I'm tempted to think it is from the bugs Duolingo is experiencing from the two recent updates. I definitely recommend you check your streak freeze, since you finished after midnight. If everything looks fine and you have no option to buy a new streak freeze, log out and back in again and check just in case. If it still says you're fine, you should be fine. My experience is that my daily scores are based on the local time I have set my phone to, including if I reset the time when traveling in another time zone. However, even though I virtually always do the lesson in the app, since I started keeping a frequent watch on the weekly and monthly scores in the leaderboard in a browser (clicked to display the desktop site) that I can't see in the app, I have observed that those seem to reset around 0 AM GMT, which for me is about 7 PM Sunday or the last day of the month. But the graph and point tracking of the daily scores is still based on local (phone/pc) time. So depending on your time zone, some people you follow may find it easier to get an early start on the week or month and others will find themselves in a better position to try to consolidate their positions in a last minute sprint. xD Thanks! "Usagi" means "bunny" in Japanese. I really like bunnies and try to add a picture of one in most of my posts. Hi, upvoted for visibility and followed for future reference. Thanks! My life more or less requires that I do my drills after 11:00 pm. I get quite tired of "broken streaks" when I complete the job at 12:02. If I could just change my time zone by one hour, it would be more fair. As it stands, I think this is quite unfair. [Edit] I sometimes do this when I'm up late and have a busy day the next day. Just one exercise and then to bed, knowing my streak is safe. Yes, that's a good idea. You could even start tonight since your streak is at one day. that way, you have nothing to loose. Thank you. This was very helpful!! Hi! Thanks for the post, it really helped me understand more about this. Have you or anyone here ever equipped for a streak freeze for multiple days in a row (open the app, get a streak freeze every day for a certain period of time)? Did it work? I'm going on a 30 day holiday and I want to keep my streak till I get back. I have enough lingots to buy a streak freeze for every single day of my trip. Some days I'll probably get the chance to meet my daily goal, but realistically speaking that won't happen every day. If I get 2 mins of decent internet just to equip a streak freeze and preserve it till I get back I'd be more than happy. Having a streak of 125 days has really helped me continue my learning and I'd hate to lose it :( Cheers! Yes, you can equip a new streak freeze every day, multiple days in a row. Don't forget to equip a new one every day. Don't leave refreshing that streak freeze until the last minute in case your phone fails to properly sync with the servers. You'll want to play it safe by giving it several hours of having been equipped. If you do forget and lose your streak, I would like to recommend checking out a post I made after loosing my streak that was just shy of 1,000 days (I think it says 994, but I've since learned that it was 988). On starting again after losing a streak. If you can do a quick lesson to meet your goal, I recommend that. Otherwise, you'll be super rusty when you come back. Also, even if you meet your XP goal, still check your streak freeze every day. It's a good habit to get into if you're invested in keeping it. It seems like streaks aren't synced between duolingo.com and duolingo.cn. This is a bit of an issue because duolingo.com redirects to duolingo.cn—I know someone who had a 300+ streak going, but spent a few days in China, and lost her streak because she couldn't add to her duolingo.com streak while she was there. I recommend your friend submit a Bug Report. On Fridays we can also buy a "weekend amulet" for 20 lingots that allows us to miss that Saturday and Sunday. If you do not use the amulet on the weekend, it disappears, unlike the regular streak freeze, so it's only useful if you think you will really need it. I have seen other people write that you can stack a weekend amulet AND a streak freeze for a total of 3 days of streak freeze, but I have not tried this myself. I have never even equipped a streak freeze. Do you think I should? Personally, I would with your streak. Maybe one day, your phone might hiccup in communicating with Duolingo's servers. It would be a nice little insurance to keep the streak intact in that event. But, really it is up to you. 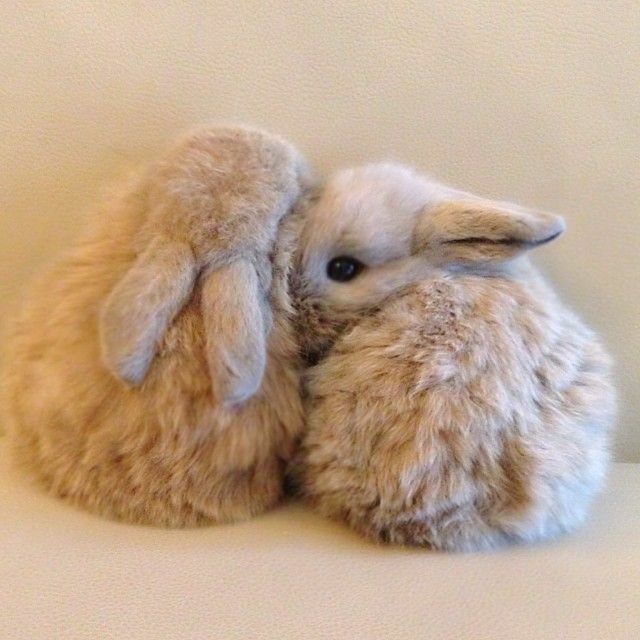 I'm giving lingots for the cute bunnies!!!!!!!!!! <3 <3 <3 Rabbits are my absolute favourite animal... Also - this is full of good info. I discovered recently by accident that you can keep the streak freeze, at first I thought it was just for the day it was purchased on. But then I didnt use it that day and its still there as a back up. handy. Thank you that is good to know and you wrote that well. could you please let me know what is streak for? what do you mean of buying something with that? You can buy a streak freeze in the lingot store for 10 Lingots. It is then in place and cannot be bought again until you've used it. It let's you skip a day of practice without looding your streak. Your streak is the number of days you practiced on DL in a row. Ladies & Gentlemen... To the Streak Freeze!